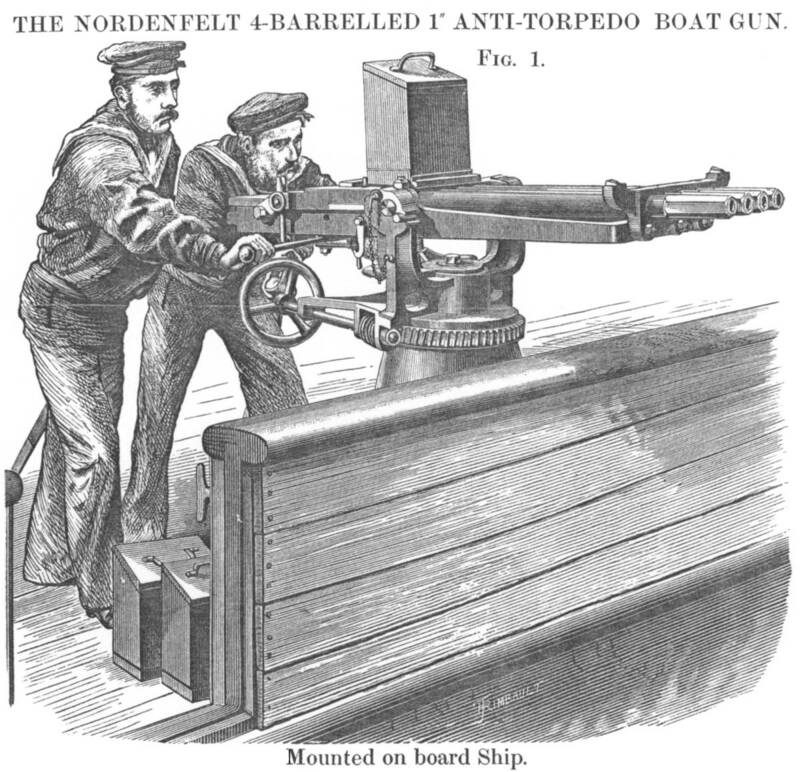 The Nordenfelt Gun was a manually operated machine gun in use at approximately the same time as the Gatling. It was designed by Helge Palmcrantz and patented by Thorsten Nordenfelt who were both from Sweden. 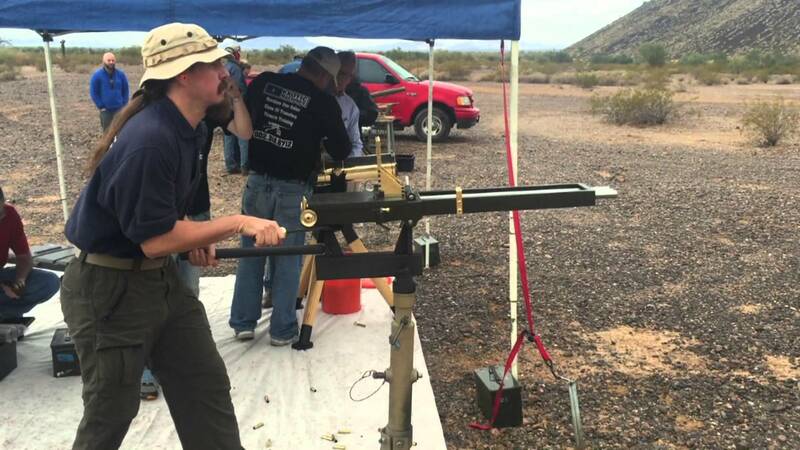 The weapon had a row of 2 to 10 barrels and was operated by ragging a lever back and forth and could fire one barrel at a time or all with a pull of the lever. 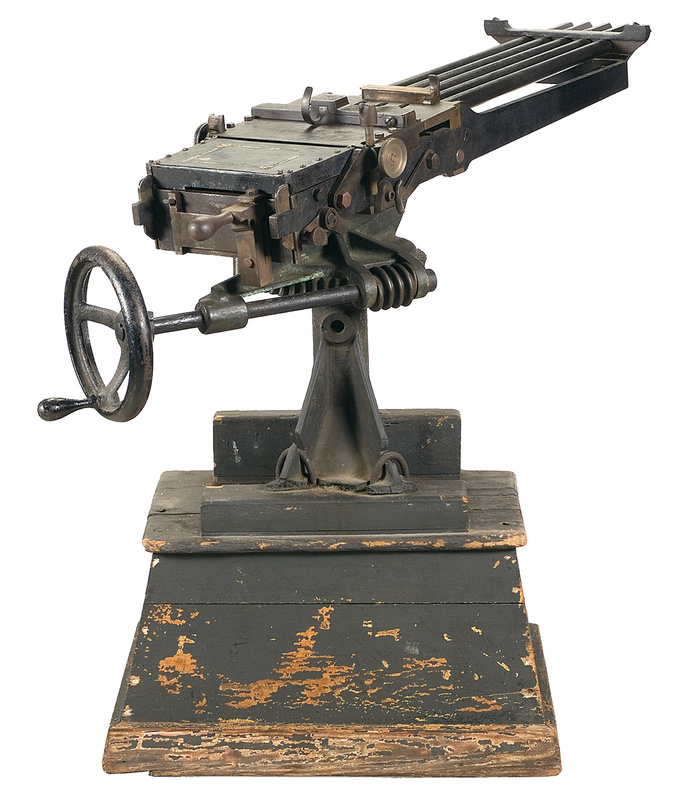 It fired harder-hitting rounds and gave more stopping power and gave a greater terminal ballistic effect than the Gatling, making this machine gun popular with the Royal Navy for use against Torpedo Boats. A hangfire was also less likely to render this weapon unserviceable due to the longer time between striking and unlocking than in the Gatling. Cleaning and / or replacement of broken images.